Does growing up mean giving up gaming? So began a quest for Ethan Gilsdorf, journalist and geek par excellence. The quest: to explore every form of fantasy roleplaying games, in order to discern whether they are healthy entertainment for responsible, balanced, functional adults. He raises the same question that I’ve posed before: does growing up mean giving up gaming? 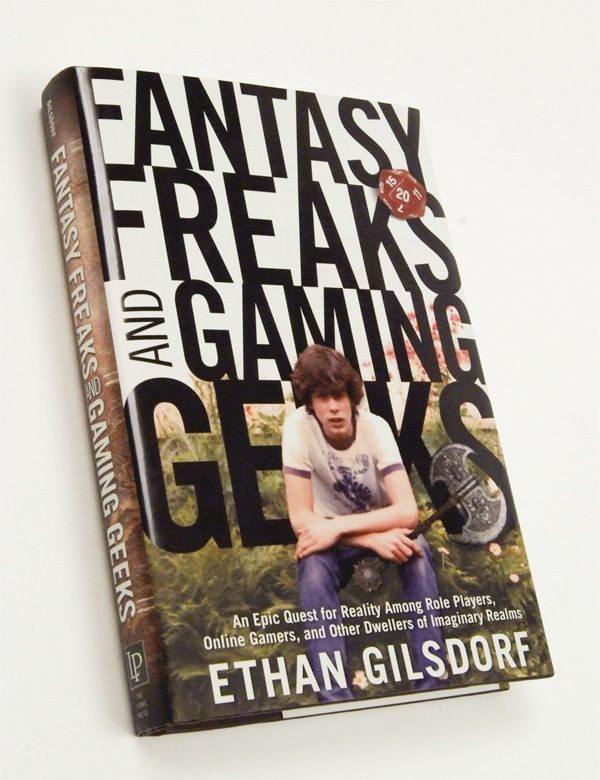 The result of his search is the fascinating book Fantasy Freaks and Gaming Geeks. I devoured the book very quickly and I commend it to you. If playing tabletop RPGs is so healthy for adults, why is it so hard to find a group to play in? I’m blessed to live in an area with an active gaming community. But I know that for many of you, that’s not the case. What’s to be done for those who lack that resource nearby? Last week, I opened up a Facebook page with the specific intent of helping you find folks to play with online. It seems that an Adventure Time RPG group is actually forming on there right now. If you’re lacking a gaming community around you, join the Facebook group. Now! Do it! Plus, if you’re interested in the AD&D 1e games that happen later this year, that will be the prime place to get a seat at the table. Hopefully you’ll be able to connect with like-minded gamers on there. A common gamer issue, whether you’ve got a strong gaming community or not, is having too many games and not enough time. So if you’ve got a game that you’re wanting to play, get on the Facebook group and let us know! Tell us what you want to play and we’ll beat the bushes until we can get someone to join you. Trust me, we gamers are not too picky about our games. We’ll try just about anything once. So join the group and let us know what you want to play! I’ve played in online gaming groups that have lasted three weeks…and three years. The beauty of online groups is that you can get as committed as you have the time and energy for. Online gaming meets that need for gaming, while mitigating the problem of not having groups around you. In the end, growing up does not mean giving up gaming. You’ve just got to make the right connections! And here’s my experience: gaming with people online helped me to cultivate my local gaming community. I improved as a game master, as a player, and as a coordinator of a group. It gave me the confidence to start something new locally and has ended up growing the local gaming community. Playing online isn’t weird. It’s not a sell-out to the ever-invasive computer screen. It’s just a group of gamers telling a story together, building a team, solving problems, and having a good time. I hope you’ll join us over on the Mad Cleric Facebook page. What have you got to lose? Only the opportunity to game. You’re reading my mind with your latest article s… uncanny!